We’ve all (probably) steeped tea before and enjoyed a delicious cup of our favorite loose-leaf blend. But have you ever used tea in an unconventional way in the kitchen? While tea leaves may seem like a single-use ingredient, they’re surprisingly versatile and can be used for cooking – in some really cool ways. It may seem obvious (or not), but brewed tea is a great substitute for plain old water! Why? Because it adds subtle flavor without altering the ingredients or texture of whatever you’re cooking. When you’re cooking rice or grains, noodles, or even oatmeal simply brew your favorite tea leaves and use them in place of water. What’s even better about this tip is that you can honestly use any tea leaves that you want! For an oatmeal or any dish where you want a stronger flavor, black tea might be the route you want to go, and we recommend using Assam Organic. Green tea will provide more of a mellow and savory flavor, so we recommend using that with vegetables and grains. We recommend that you try Sencha Organic, a pale green tea that isn’t too heavy and provides a light flavor. If you have a sudden urge to make soup but you don’t have any stock on hand, you can use tea instead! Black tea and green tea are the two best (and most simple) loose-leaf blends to use for this, but really you can use whatever you want. 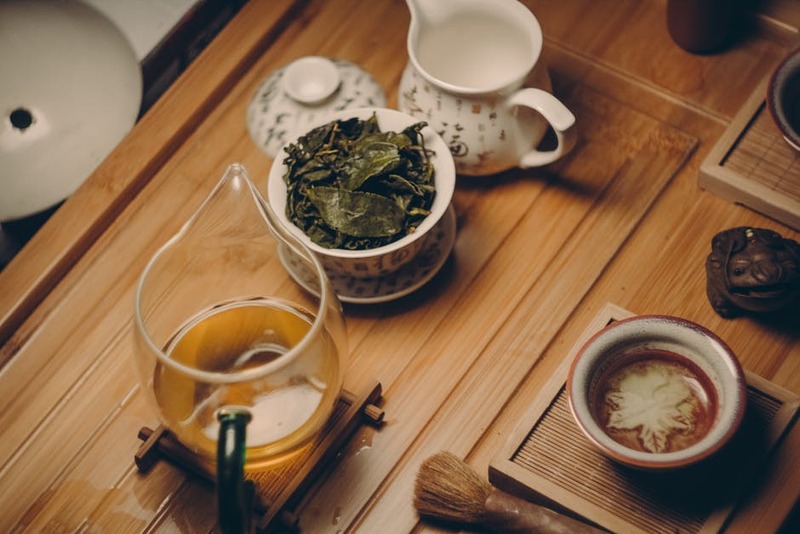 Green tea will pair best with vegetables and fish, due to its savory flavor. Black tea, on the other hand, has a smokier flavor that works best with red meat and mushrooms. If you want a caffeine-free tea, you could also try using a Rooibos blend that will add earthy and honey flavors to your soup. Try using What the Duck! ?, a Rooibos blend with a frui-tea twist! Tea leaves are pretty close to herbs, right? So, why not use loose-leaf tea in addition to or instead or herbs like basil and oregano? Sprinkle green or black tea leaves into your favorite recipes or grind them up and use them in your favorite spice rub! To find the perfect recipe for you, check out this article that we wrote about creating barbeque rubs using some of our favorite blends from Dollar Tea Club! If you’re still skeptical about using tea in soup or with meat, start off by trying it with dessert! There are so many desserts that are created using milk, so a simple way to do this is by steeping your loose-leaf tea leaves in warmed milk or almond milk. After you’ve strained your tea leaves out or removed your infuser, use your newly-infused milk in desserts such as pudding, custard, or even cake! An Earl Grey or Masala Chai for a strong and warm flavor! Try pairing it with tea-infused hot chocolate, created using hot tea-infused milk and chocolate, or a chai tea latte! For instructions on how to create a perfect chai tea latte, check out this article we wrote recently. Hopefully, you feel inspired to infuse your favorite premium loose-leaf teas from Dollar Tea Club into your everyday meals. Whether you start off simple and add tea to your favorite desserts or get adventurous and create a spice rub, we’re positive that you’ll love your new and improved tea-licious recipes! This entry was posted in Recipes and tagged clean eating, cooking, dollar tea club, food, food photography, healthy, healthy eating, healthy recipes, herbal tea, loose leaf tea, natural tea, natural teas, Recipes, subscription, tea, tips.